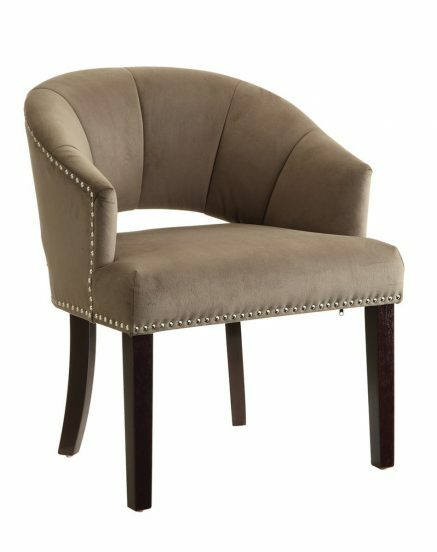 Your attractive Vivian accent chair spices up any living environment with qualities of sophistication, class, and taste. Soft curves and unique design come together in a seat that is smartly aesthetic and ready to grace your cozy living room. The captivating md-century modern composition compliments the functionality and comfort of the Vivian chair, making it the ideal choice when offering guests a quality, sturdy, and affordable seating solution. ?